Andra Chansen took place in Nyköping to determine the final qualifiers for next week’s Melodifestivalen 2019 final. Eight acts participated in four duels to fight for the last four tickets to the Friends Arena. In our Andra Chansen polls, our readers picked Anna Bergendahl, Nano, Lisa Ajax and Rebecka Karlsson to advance. Our readers thought it would all be straightforward, with all four of these acts amassing more than double the amount of votes as their respective opponents. The Wiwi Jury were thinking along the same lines. They picked the same four winners but suggested it might not be quite so straightforward. For instance, Andreas Johnson placed third out of all eight acts but finished behind his opponent Anna Bergendahl. However, the decision was all in the hands of the Swedish public. History tells us that they can often vote very differently (“Statements”, anybody?). The show also included a surprise guest performance by Johnny Logan. Eurovision’s only two-time winner dazzled the audience in Nyköping with a performance of “Hold Me Now”. He wasn’t the only Eurovision winner to perform though — Måns Zelmerlöw performed his new duet “Walk with Me” with Melfest 2018 contestant Dotter. Andreas Johnson brought a simple but effective stage show. His charisma sold “Army of Us”. Some fireworks at the end of the performance gave it that extra pop. On the other hand, Anna Bergendahl was a tiger pacing her way through a forest. Keeping things much the same as her semi-final performance, Anna elevated the song with strong vocals. Ultimately, Anna Bergendahl prevailed and booked her spot in the final. In the only duel between two performers of the same gender, the songs could not be any more different. Vlad Reiser brought slick choreography and set the pace with his upbeat number. His opponent Nano moved with renewed swagger, improving on his semi-final performance while still setting the same atmosphere. This one was hard to call but Nano made it through to his second Melfest final. Martin Stenmarck didn’t change much from his semi-final performance, once again performing with great energy. Lisa Ajax also changed little other than her hairdo. Injecting her heart and soul into “Torn”, Lisa Ajax took the song to greater heights and commandingly secured her place in the grand final. Rebecka Karlsson kept things similar but refined her staging. There was less going on around her without losing the key characters supporting her staging. Her outfit also was more fitting and she looked sharp and classy, allowing this future star to shine. Arvingarna gained a member and upped their game as well, utilising the same staging themes. The additional performer enabled the harmonies to come together better than in the semi-final. In the only upset of the night according to our polls, Arvingarna prevailed to make it through to the final. The running order for the grand final is also made clear at the end of Andra Chansen. Recent history dictates that the winner can come from anywhere in the running order. Last year, Benjamin Ingrosso won from eleventh in the running order. Robin Bengtsson won from fourth, Frans was tenth and Måns Zelmerlöw sang sixth. This year’s international jury features only eight countries. This is shortened down from the ten used last year. 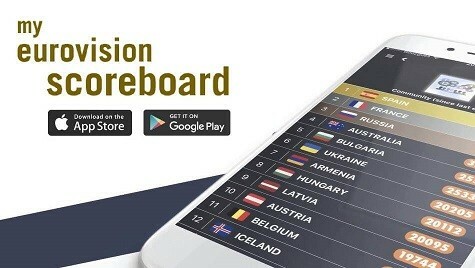 The jury includes the Top 3 countries of Eurovision 2018 — Israel, Cyprus and Austria. They are also joined by 2018 host country Portugal, Australia, Finland, France and the United Kingdom. What do you think of the Andra Chansen results? Who will win next week’s grand final? Let us know in the comments below. Since, you know, song number 9 seems to be the trend this year, Malou might win for a surprise. Once again – ALL the songs I like the most fail in the “Andra chancen” duels! :-O 🙁 Why do Sweden alwys go for the most dated, dull, generic and unoriginal songs? I think John has it in the bag. very uncomfortable question: is it too late for love? Surprisingly there is no clear winner in the lineup this year. Personally I know that I and many others would love to see Jon Henrik finally represent Sweden, but I know that Hanna & Liamoo are the big favorites right now, but then again Bishara is way ahead in youtube views. I guess we’ll just have to see what happens in the final. he has the most Spotify plays and that means more than YouTube views. Lisa, Anna or Wiktoria for the win! Please! Good placing for John Lundvik. SVT might want him to win! Liamloo and Hanna Ferm ftw !!! John is probably winning this,and I’m all for it! That’s how you package a song! The duo probably second and Bishara third. Yes, that¨s right, third! Overall a stronger field than last year. Every song is vastly more enjoyable than whatever 2018 had to offer.. I think Anna can chalenge Landvik, Hanna/Liamo and Bishara in the final although they right now are in the top off odds and Spotify . Yes, I said before that Anna is a dark horse. She is going to do better than expected, top 5 for sure! Does anyone think it could be Johnny Logan for Ireland ? Johnny Logan to represent Ireland this year? No. You mean John Lundvik, Wiktoria won’t win. Many popular songs this year meens a very small difference in points from the people. 13% to One song, 12 % to another song etc. Meens that the jury Will decide – What song Will they like? I Guess Liamoo One. No. They’ve changed the voting system. Every eight voting groups of the popular votes gets the same type of points as the eight-part juries. So the televotes won’t be evened out as in previous years. Lisa Ajax has sung 2nd before. If that isn’t unfair then I don’t know what is. Yes, she sung 2nd and 3rd her previous two attempts, while Wiktoria has sung 10th and 11th before and is singing 11th next week also. She can still have a good result ! She still does have a good result. She’s in the finals. She probably won’t be in bottom 2 either, so that’s top 10. Predicted all four correctly although I’d like to see Rebecka Karlsson back definitely with a stronger live as the studio was beautiful. Also those who saying Wiktoria drawn in 11th is bad? I’m sure the 11th draw tends to do well… Jon Henrik drawn 1st surprised me, guess it isn’t his year after all. I hope Wiktoria/John Lundvik or even Anna take the crown. The only 3 deserved victors this year. I’m glad that the four duels were won by those I wanted to win. I felt both Anna and Lisa brought more energy to the stage tonight. “Ashes to Ashes” keeps growing on me everytime I listen to it. Plus the running order is good to John and Wiktoria, so only happy news for me coming from Sweden this Saturday. Good result, and pretty expected to be honest. What was also expected – to the point that it’s becoming a cliché – is that the comedy/novelty song got the 12th spot in the final. 2015: Hasse Andersson, 2016: Samir & Viktor, 2017: Owe Thörnquist, 2018: Rolandz and now Arvingarna in the last spot. It’s getting so predictable that Björkman will put those songs in the last spot. I didn’t even have to guess who was going to the final when they announed that it stood between Rebecka and Arvingarna because it’s just so predictable. Calling Arvingarna a novelty/comedy number in regards to Melodifestivalen is rather unfair. The music genre they represent is as Swedish as it gets (even if we seldom let it represent us at Eurovision). To call Arvingarna a novelty act is not fair. They are not novelty, they have been a band for 30 years or so. they are a dansband which is as Swedish as you get. The reason they are last is because the last song is usually the most party filled one, Björkman likes to end it with big party numbers. John for the win, guessing Wiktoria didn’t do as well as some predicted.. think John is winning this.. Hanna/Liamoo second and Malou third I think..
Maybe. But John is going to win it for sure. The running order suggests that Björkman wants John or Wiktoria. Haha, just posted about this myself! Me too! Just when I saw there was an empty position number 12, I was sure it was reserved for Arvingarna. Björkman was very predictable in that case. The running order though…Jon Henrik starting? John Lundvik at 10th may indicate that he will win next week. My favorites at 1 and 10, this will be interesting. My faves in the first three duels won, yay!!! Not unhappy with Arvingarna but surprised as we expected Rebecka to win. Well, 3/4 is still pretty good! I’ll keep Vlad’s song as a guilty pleasure. Anna and Lisa should compete to win it all now. It seems like SVT favors Wiktoria and John Lundvik based on running order. The winner will be from the 2nd half of the running order as usual. This time, I hope you are right. Out of internet forthrunners, Wiktoria, John and Hanna/Liamoo are better than Bishara and Mohombi. Mohombi isn’t even a frontrunner. It’s only here I read that he is a frontrunner and that he will do very well. Every expected to go through went through. Anna performed better, you could really tell that this performance was important to her. Although I had to smile because it felt like “Hey Sweden! Look at me, I am cheerful and relatable, I am not cold and distant at all. There’s no reason you shouldn’t vote for me.” 😛 I also enjoyed Lisa vocals but let’s keep it real, the song ain’t what y’all are making it out to be. Nano on the other hand still kills his song for me.